First, and for the record, let me state that I’m not a huge fan of superheroes. Although one has to admit that, over the last three years and with Daredevil (2015), Jessica Jones (2015), and Luke Cage (2016), Netflix has done a tremendous job at reviving a branch of the so-called Marvel Cinematic Universe (MCU), the streaming giant’s mode of storytelling – which Casey McCormick subsumes under the term “Netflix poetics” and which has also been hailed by some as “a new art form” – were prone to become recognizable as a tried-and-tested formula which subsequently was only slightly modulated to fit each protagonist’s storyline. With Daredevil, the struggles of a blind lawyer turning into a ninja super-warrior who rescues the poor of New York’s Hell’s Kitchen district from greedy harbingers of Gentrification (aka. 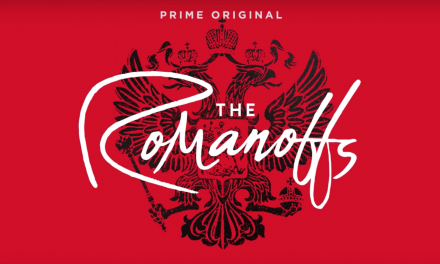 the antagonist) were impressively staged, and spiced with achingly realistic fight scenes in which the protagonist’s ‘education’ was graphically recorded, thus highlighting the deeply experiential mode of presentation that is made possible via television. With Jessica Jones, we followed the life and times of a retired superheroine who, due to her abuse-induced PTSD, struggles to make ends meet in her daily life in Hell’s Kitchen. When her mind-controlling abuser and antagonist resurfaces, she slowly rises to the occasion and fights both her inner terrors and trauma as well as the psychopathic villain. And with Luke Cage, we encounter a wrongly-convicted former soldier who, due to an experiment conducted on prison inmates gone wrong, now has impenetrable skin and super strength. Although having lived in Hell’s Kitchen when the Jessica Jones storyline took place, Luke has now moved back to his roots in Harlem, where he fights a kaleidoscope of characters with the goal of removing organized crime from the streets of Harlem, hoping to bring back a nostalgic 1970s community of values. The Defenders: Mike Colter as Luke Cage, Charlie Cox as Daredevil, Krysten Ritter as Jessica Jones, and Finn Jones as Iron Fist, photographed for Entertainment Weekly on December 10th, 2016, by Finlay Mackay in Brooklyn, New York. 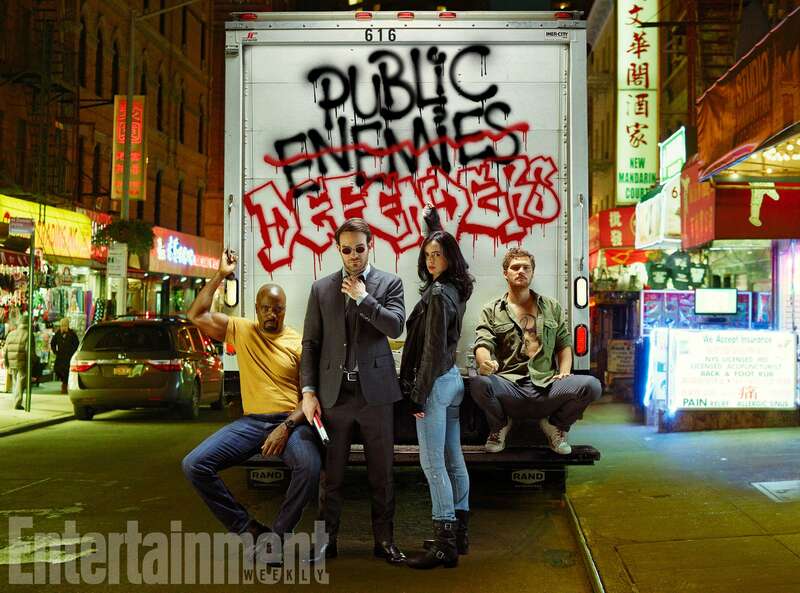 Drawing from a vast universe of pre-existing material, all shows were designed to seep into each other, with the character of Claire Temple forming the central linking element that helps each of the three protagonists mentioned above. Further instances of cross-referencing take place in the latest Netflix installment of the MCU, The Iron Fist (2017-), and will culminate in the team-up of all previously introduced characters in The Defenders, which will be made available online in the second half of 2017. Now, as mentioned above, these shows were just covering one branch of the Marvel Universe. Similar narrative branches and corresponding MCU sub-franchises have since focused on The Avengers (spawning a variety of consecutive movies on Iron Man, Thor, The Hulk, etc. – see William Proctor’s recent and excellent CSTOnline contribution on Netflix, Transmedia and the MCU, or Kenneth Longden’s contribution on female-centric television and the example of Jessica Jones, and on The X-Men. While the former has crossed the televisual border via ABC’s takes on The Agents of S.H.I.E.L.D (2013-, realized by Joss Whedon), and on the alternate period drama-esque Agent Carter (2015-), The X-Men had yet to find its footings in TV land. Originally penned as comic books by Stan Lee and Jack Kirby in the 1960s, The X-Men universe has been heavily used as a blueprint for Hollywood blockbuster iterations over the last one and a half decade (from X-Men (2000) to the current iterations of Deadpool (2016) and Logan (2017)). Fox Network, on the other hand, has now embarked on bringing the franchise to the small screen, with a first iteration focusing on a relatively minor character within the X-Men universe: Legion. 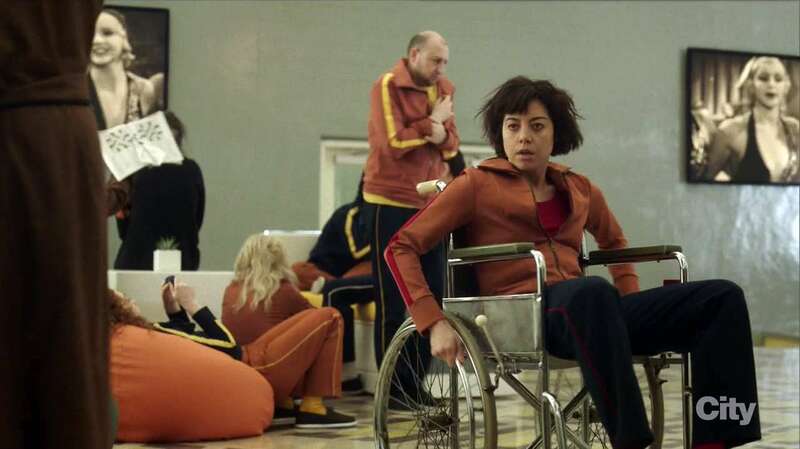 While Legion is currently airing in the US on FX, international audiences have access to the show via the global network of FOX channels. 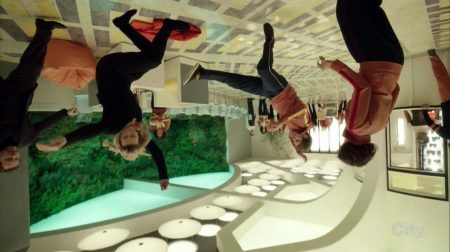 Legion tells the story of young David Haller (brilliant performance by Downton Abbey’s Dan Stevens), who, as a child, was diagnosed with schizophrenia. Ever since, he has been moving in and out of a variety of psychiatric hospitals. Accepting his diagnosis, he has experimented with a kaleidoscope of prescription drugs and alternate ways of self-medication to keep the voices in his head at bay. Now, in his early thirties, we find him in a psychiatric asylum by the name of The Clockworks (a small nod to Stanley Kubrick), where he is kept under constant medication and must follow a strict day-to-day routine of Sleep-Eat-Medicate-Sleep. 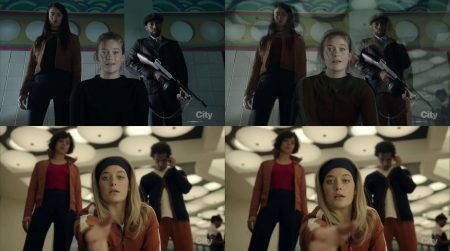 During the first episode, we find ourselves thrown in medias res and embark on a highly subjective ride through David’s eyes when he falls in love with a fellow female patient by the name of Syd(ney) Barret (played by Rachel Keller, and yes, Pink Floyd fans, the character’s name is for you, who has Haphephobia (fear of being touched), hence no physical contact is possible. Syd plays a key role in the unfolding events, when David soon is interrogated by a group of evil goons, and then gets broken out of the asylum by a group of yet-unknowns. The group, together with Syd, help him along a succession of therapeutic sessions. During these sessions, he recognizes that the pre-diagnosed schizophrenia has been a lie told to him to cover up the fact that he has superpowers, including telekinesis and telepathy. What in my opinion makes this particular show so fascinating is its overall setup and detachment from the larger X-Men story-line: during most of the first season, I had the feeling that one does not have to know anything about the larger Marvel mythology to be able to marvel at the wonders that are happening on-screen. Syd Barret between two different realities. Much of that is thanks to showrunner Noah Hawley. Having made an early impact as a writer of novels from the late 1990s onwards, and subsequently as the creator of the critically-acclaimed reboot (On the question of distinction between reboot, remake and adaptation, see e.g. 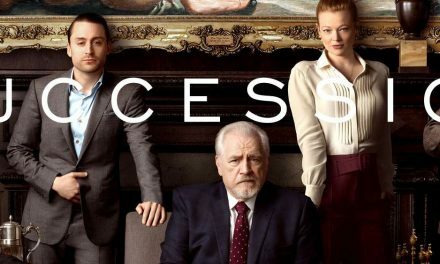 the excellent points made in the online discussion between William Proctor and Ian Peters on In Medias Res) of the Coen Brothers’ Fargo (also for FX), Hawley has put a distinct touch to this superhero show. In a few seconds, David will actually follow the wall inscription’s imperative and take a dive to save his life. 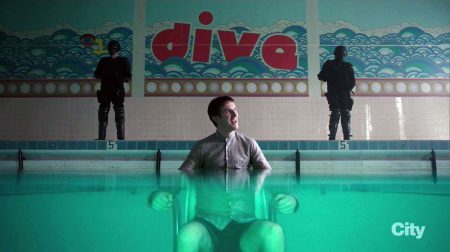 (Also note the optical distortion-slash-illusion created by the underwater-part of the shot that has David’s lower body magnified, which could be read as visual metaphorization of David’s schizophrenia – two personas in one body. The whole first season plays with this ever-present feel of Sixties cinema and television: many of the characters seem to be hooked on Beat Poetry and more often than once did the character’s dialogue and behavior make me laugh about the quirkiness and cheeky referencing of Brigitte Bardot hairdos and William S. Burroughs’ prose. Hawley does an excellent job by going beyond the recreation of common staples of retro and nostalgia – he refrains from setting his story against the backdrop of famous Sixties landmarks and artifacts. 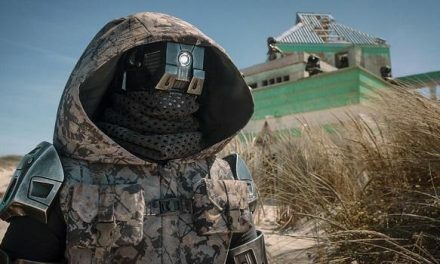 What he does is more on the side of imitating a certain lifestyle and milieu, which is realized by making use of a vast array of the decade’s technological gadgetry, costumes, and day-to-day cultural artifacts. All in all, this adds another level of timelessness to the show: while MCU savvy insiders might establish a certain timeline that places Legion in the Sixties – from the universe’s mythology that makes David Haller the son of Charles Xavier, the X-Men’s founding father– we are at no point told about the When of this wondrous tale. What the show has also going for itself is its overall topical focus: Psychology. While much of the narrative is dealing with one’s problems and facing one’s traumata, and the corresponding methods of living and talking through such traumata, the narrative mode is also a distinctively remarkable one. To suggest that an unreliable narrator is present in this tale would be a tremendous understatement: throughout the whole first season, the viewer can never be sure about which astral plane the story currently is taking place in, and what information and details presented to David we can trust in. All in all, this show makes for a great roller-coaster ride through the Sixties. 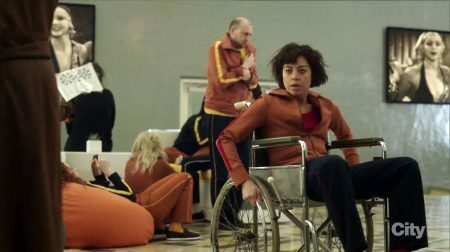 Legion, in a somewhat creative Frankensteinian tradition, stitches together a pastiche of original ideas and references to movie and TV history that range from the earlier-mentioned film masters of the Sixties to scenes that could have easily been borrowed from the more disturbing parts of David Lynch’s filmography. Doing so, it opens up a new branch of the MCU that presents Hawley (and FX) with exciting narrative possibilities to re-invent (see Entertainment Weekly’s James Hibbert’s interview with the showrunner and flesh out the origins and early mythology of the X-Men. Tobias Steiner is a PhD candidate at Universität Hamburg’s Department of English and American Studies. His PhD project (working title: “Complex TV’s (Hi)Stories of Transnational Pasts: U.S. Period Drama as Medium of Cultural Memory”) focuses on an integration of the televisual medium into the context of Cultural Memory Studies through an analysis of US-American television series. Parallel to that, he works as a research fellow at Universität Hamburg’s Universitätskolleg and has been teaching American Television history at the university’s Department for Media and Communications. Tobias currently also acts as postgraduate representative of ECREA’s Television Studies section and is enthusiastic about all things Complex television, both as a fan and a Cultural Studies-focused academic.